There is no better place to celebrate May than at our gallery on the waterfront in McCall. 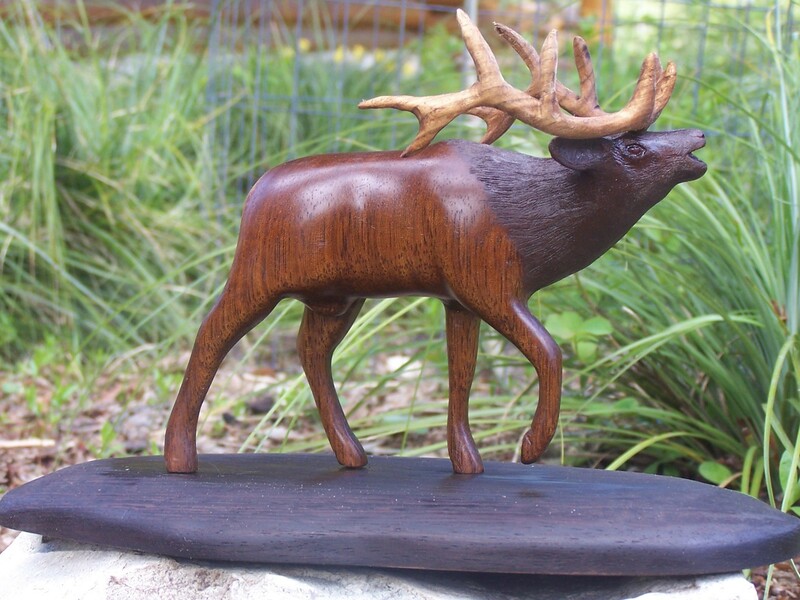 Our featured artist for May, woodcarver Larry Mehaffey, has been working hard in his studio in the Nez Pierce National Forest, creating new wood carvings for your enjoyment. 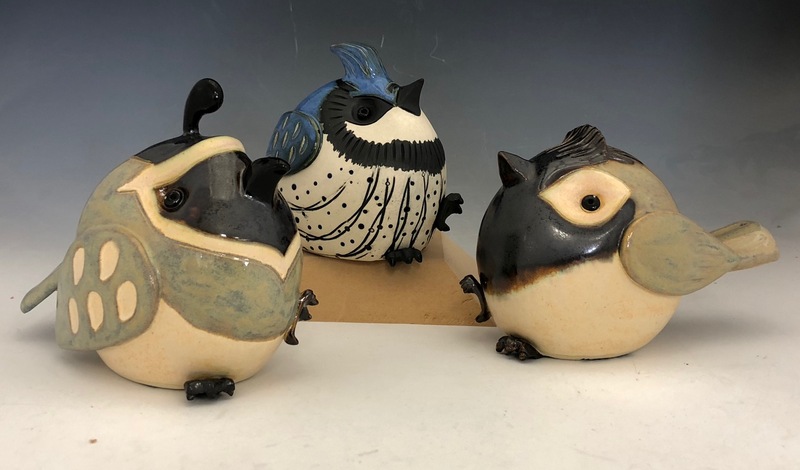 And ceramicist Candace Bonawitz has returned from Arizona and once again graces the gallery with her beautiful vases, mugs and other creations celebrating the beauty of nature. Meet the artists and view the art by over twenty regional artists at our First Saturday reception, May 4, 4-8 p.m., with music by “Catfish de Grey”, wine by Bistro 45 and appetizers. When: Saturday, May 4, 4-8 pm. Gallery 55 is open 11-7 on Black Friday and serving light refreshments 4-7. 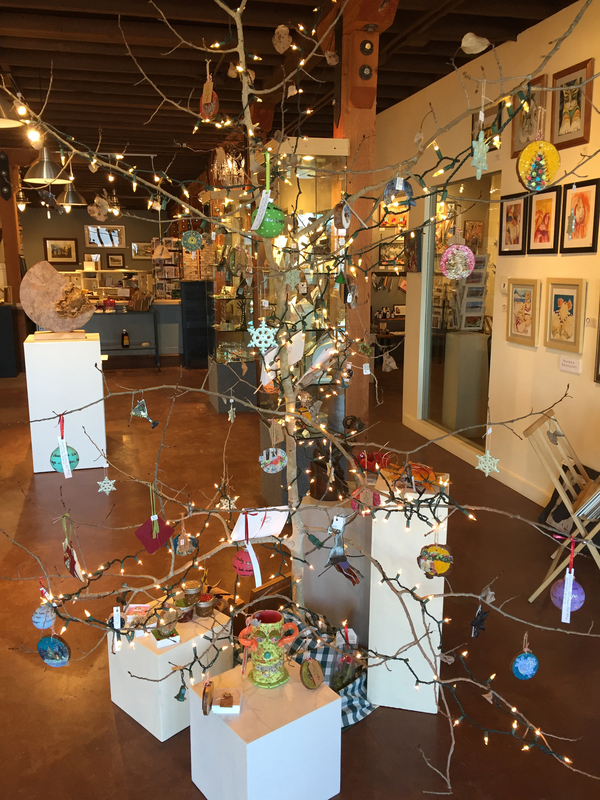 The gallery is full of gift ideas, including artist-made tree ornaments, holiday chutney, decorated gift boxes and art priced just right for holiday giving. On Black Friday and every Friday through December 21, the gallery will be open until 7. So, we hope you will join us, see the art by over twenty local and regional artists and enjoy the beautiful view of Payette Lake from the gallery. It’s cooler weather here in McCall and we are enjoying the crisp days in our cozy gallery on the lake. 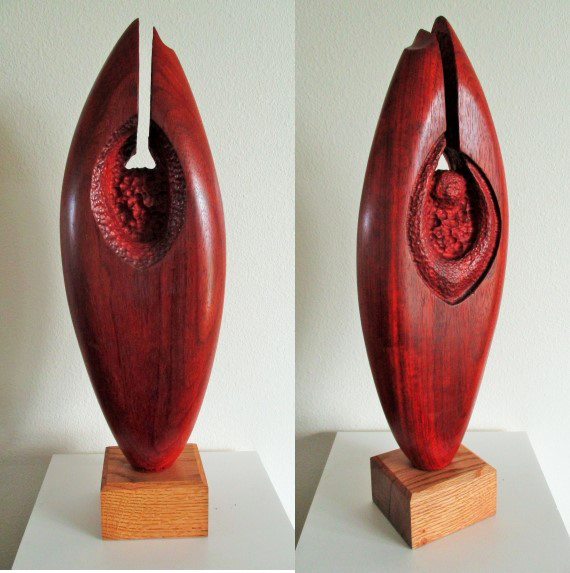 On November 3rd, we welcome guest artist wood sculptor Gary Peer, featured member artist photographer Connie McClaran and our newest member, bronze sculptor Allen Malaise. Gary’s spiritual and abstract-looking sculptures reference contemporary society’s decaying order in a medium admired through the ages for its warmth and beauty. 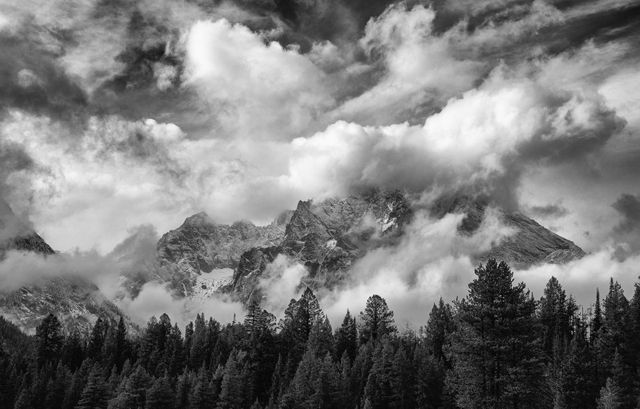 Our featured member, spiritographer Connie McClaran, immerses herself in the beauty of American landscape in new black and white photographic works that will take your breath away. 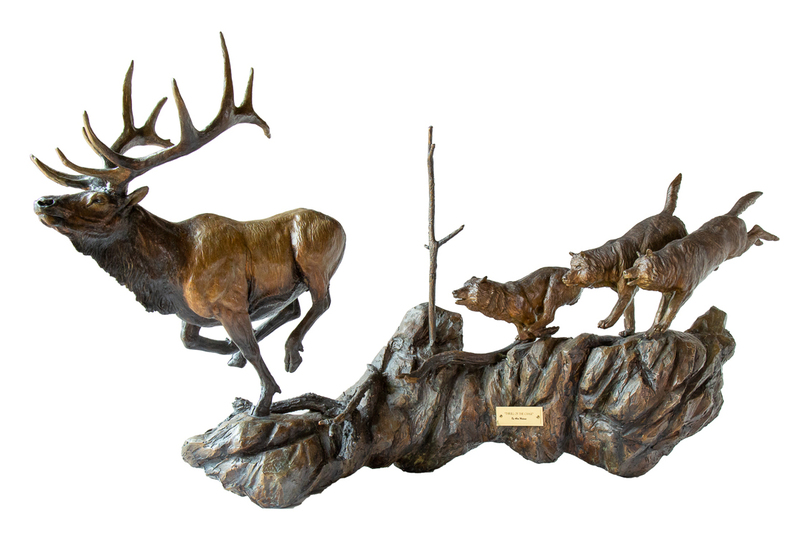 And to complement Connie’s work and our location on the shore of the Payette, outdoor enthusiast Allen Malaise adds imposing, motion-packed and fabulously detailed bronzes of Northwestern wildlife. You don’t want to miss any of this. Meet all the artists and see the art at our First Saturday reception, November 3, 4-8 p.m., with music by Mike Rutledge, wine by Bistro 45 and appetizers. When: Saturday, November 3, 4-8 pm. 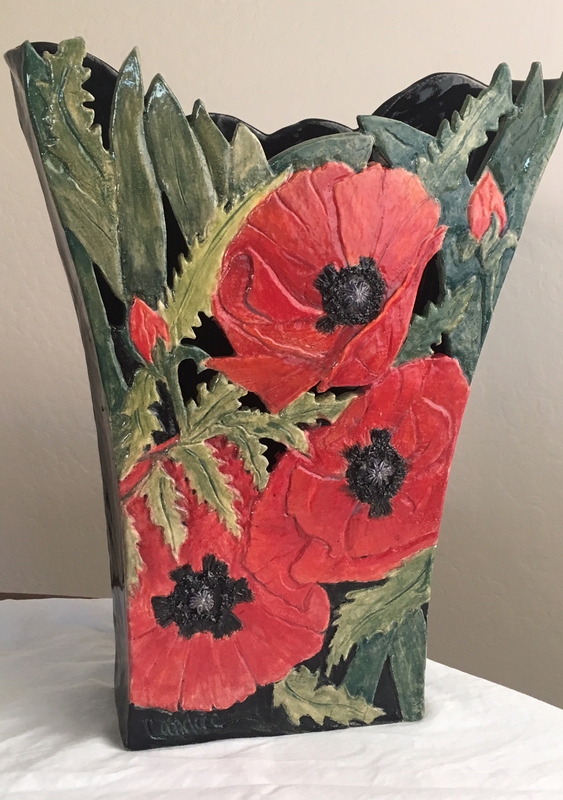 We have invited Oregon potter Terri Axness and Idaho painter Mary Butler to show their new work at the gallery in September. Terri, our guest artist, draws her inspiration from “the incredible diversity in the pacific northwest,” with treatments that vary from the serious to the whimsical. 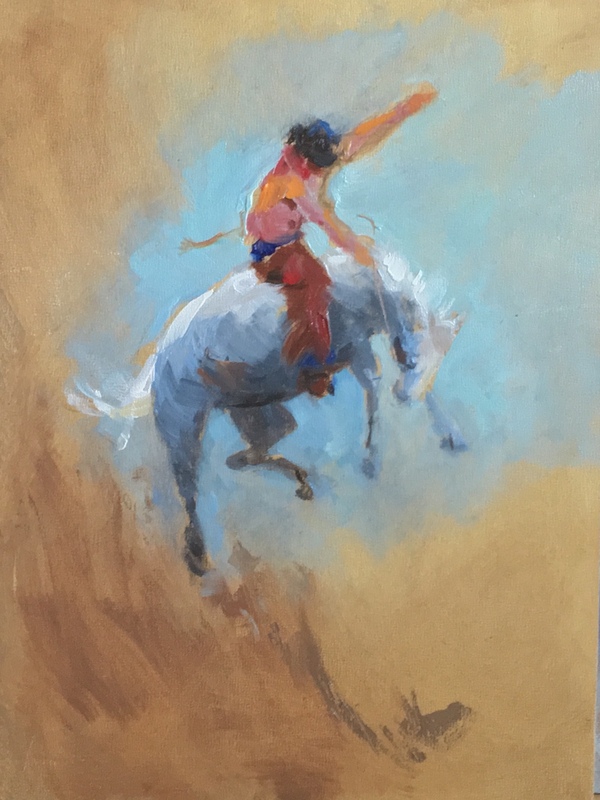 Gallery member artist Mary Butler references her Idaho ranch upbringing, her new work expressively capturing the movement of horses in action in the Idaho landscape. 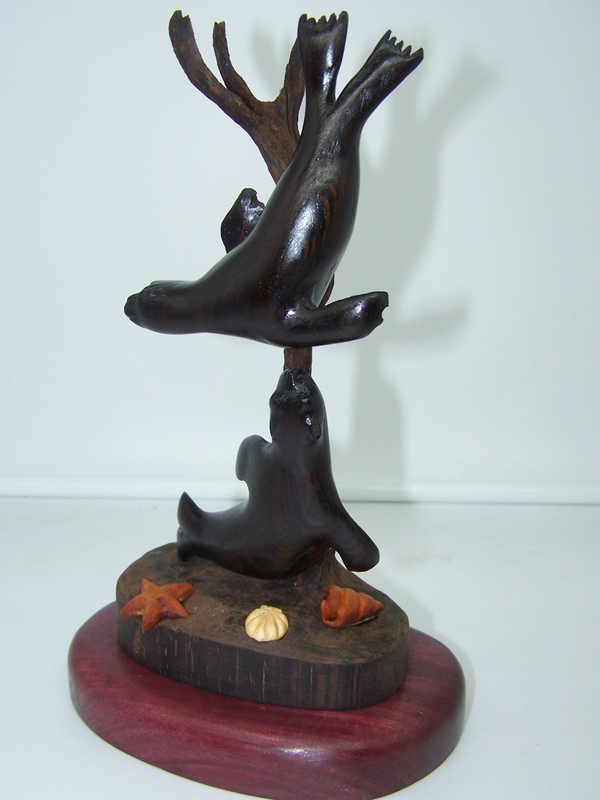 We’ll be showing Terri’s and Mary’s art, plus plenty of art from our more than twenty gallery members, including our newest member, wood carver Larry Mehaffey. Meet the artists and see the art at our First Saturday reception on Labor Day weekend, September 1, 4-8 p.m., with music by Mike Rutledge, wine by Bistro 45 and plenty of appetizers. Gallery Fifty-Five is at 311 E. Lake St. on the lakefront. Art on the Lake: Did you know that Gallery 55 has a reception every First Saturday? And March weather is a great reason to get out there and party. 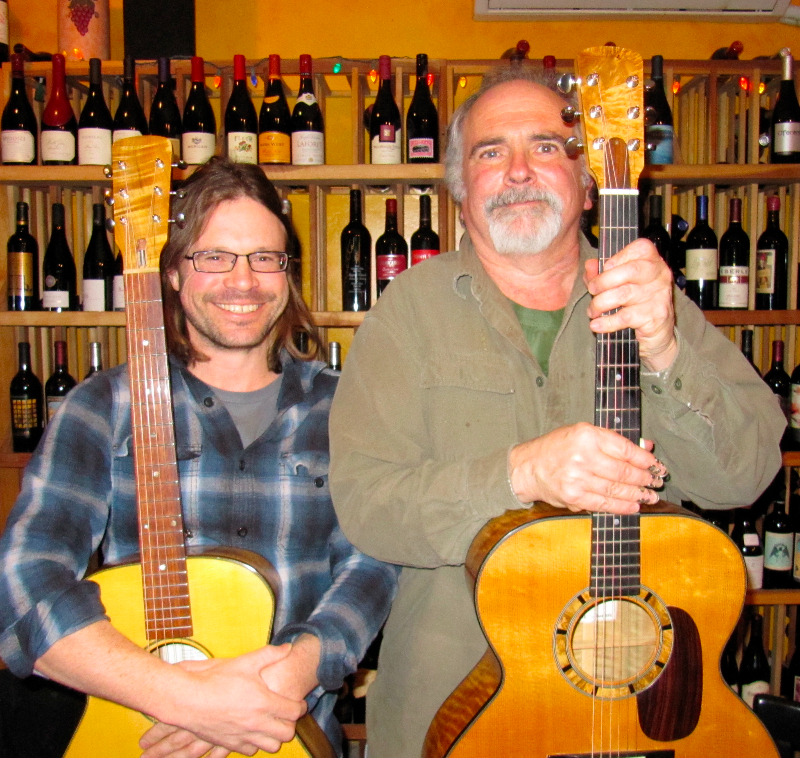 Drop by the gallery, at 311 E. Lake Street on Saturday, March 3, from 4-8:00 p.m. We’ll have wine by Bistro 45, appetizers, and music by Mike Rutledge. Our featured artist is Thea Belecz. 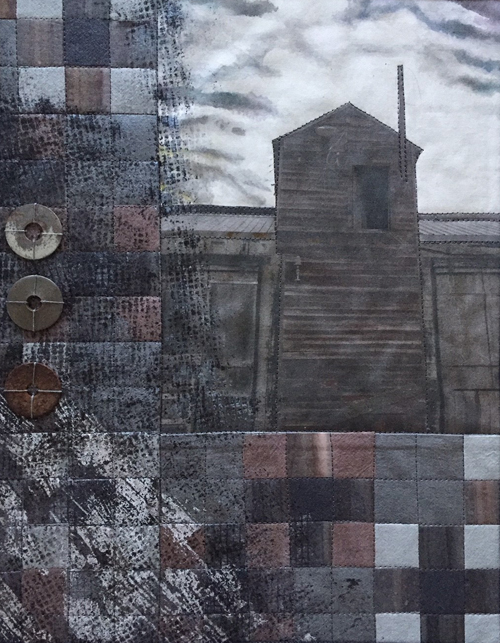 Thea combines photographic and traditional fiber and bookbinding techniques into contemporary textile masterpieces. Her work intuitively captures the mood of nature, weather and their effects on people. She comes by this naturally, as she grew up in the woods, fields and shoreline of Lake Michigan and then graduated from the Forestry School at Michigan State. Graduation landed her a job in Idaho where she was initially overwhelmed by the area’s vast unpopulated spaces. But today she has grown accustomed to and revels in Idaho landscapes. You will appreciate that sentiment when you see her work. Art on the Lake: There is so much going on: Winter Carnival, Valentine’s Day, workshops and art at Gallery 55! For a special treat, drop by the gallery, at 311 E. Lake Street, on Saturday, February 3, from 4-8:00 p.m. We’ll have wine by Bistro 45, appetizers, and music by Mike Rutledge. Our featured artists are ceramicists Benita Giltzow and Etta Mayfield, and the guest artist is photographer Melissa Shelby. Art on the Lake: Shopping for art and meeting local artists. What could be more fun in the new year? Drop by the gallery, at 311 E. Lake Street on Saturday, January 6, from 4-8:00 p.m. We’ll have wine by Bistro 45, appetizers, and music by Mike Rutledge. Our featured artist is watercolorist Laurel Lake McGuire. Boise artist Laurel Lake McGuire has lived many places in the United States, frequently packing up her paints and brushes to follow her Marine husband to his next duty station. Although frequent moves played havoc at times with the continuity of her career in art, they also brought new subjects, new color choices and the support and fellowship of artists all over the U.S.
Now settled in Boise, she is intent on continuing her development as an artist and expand her impact in the art world. Watercolor is her primary medium and flowers are the subject closest to her heart. Recently she was honored to have two floral paintings selected for the Women Artist of the West’s annual exhibition, with one of her paintings awarded Best of Show. Another of her paintings in that show was featured in an article in Southwest Art magazine. The paintings Laurel has selected for Gallery Fifty-Five’s January Featured Artist show gives us a welcome dose of brightness and color in the midst of winter, drawing on florals, garden scenes and summer landscapes to cheer us up. For more information about Laurel, see laurellakemcquire.artspan.com, or follow her on Facebook.